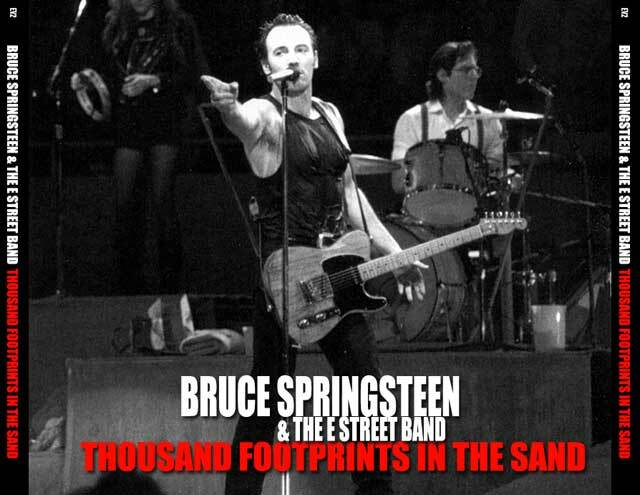 Thousand Footprints In The Sand is the title of this bootleg of Bruce Springsteen and the E-Street Band recorded on April 28th 1988 during the Tunnel Of Love Tour. Again from Mark P’s master tapes – EQ’d sound, cuts removed, some intro speech levels amplified + many more improvements which I never list. Beginnings of D1T01 and D2T01 have been mixed with another source to fill the missing part. ‘Some sound fluctuations as a result of security issues’Second ever performance of “Across The Borderline”. Thanks to Mark for the great source and Gchord for the artwork. 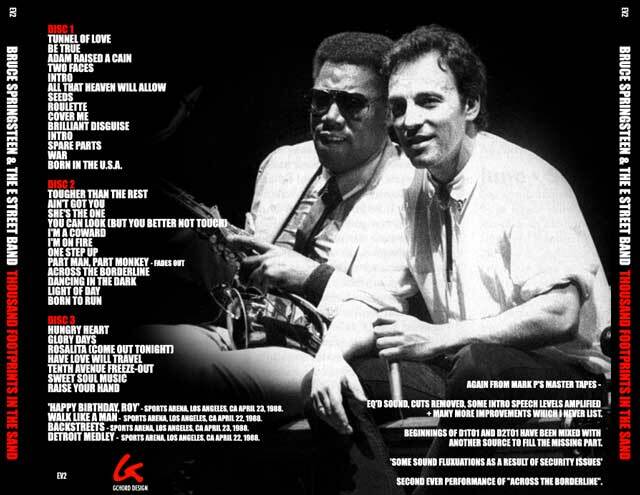 This entry was posted in 1988, ev2, springsteen, tunnel of love and tagged 1988, bootleg, springsteen, tunnel of love by Tsitalia. Bookmark the permalink.